Android users might be getting all the love thanks to free navigation courtesy of Google Maps Navigation, but for those who prefer something different, it’s worth noting that MapQuest can be a useful alternative to Google’s venerable app. We’ve already seen the iPhone get free voice guided turn-by-turn direction with its MapQuest app, but now owners holding onto Android 1.6 and up devices can experience the same thing. The app is now available for download in the Android Market, and presents itself with some useful features like voice guided navigation, voice search, a map toolbar, walking/driving directions, and live traffic flow. Additionally, users will like using the app since it employs OpenStreetMap (OSM) data – which means that it can be used internationally. Not only that, but you can simply provide corrections for mistakes directly on the map itself. So if you want to experience something different, while still being free, then make sure to download and check out the MapQuest app. 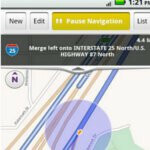 Um, Android already has free turn-by-turn navigation with Google Nav. I honestly don't think ANY of the writers on this site actually use an Android phone as their main phone. For example from iPhone vs Optimus 2x comparison: "The iPhone 4 responds to your finger movements seamlessly, like a purring cat to a head massage" Wtf kind of a write-up is that? Lol, another good reason why people shouldn't take their articles seriously. Did you even read the 1st paragraph? 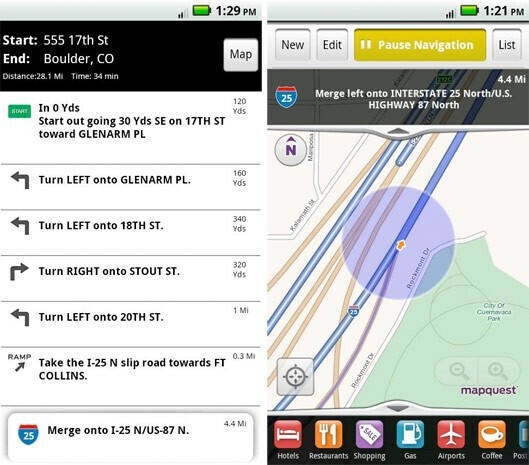 Android users might be getting all the love thanks to free navigation courtesy of Google Maps Navigation, but for those who prefer something different, it’s worth noting that MapQuest can be a useful alternative to Google’s venerable app. Did you even read the title? "Android is now also seeing free turn-by-turn navigation with the MapQuest app" which implies Android didn't have it until now. This might be either due to poor wording, or more likely due to having no idea that Android already has that feature. I guess you could've seen it that way. I saw it as Android is now seeing Mapquest on their phone, which offers turn by turn directions. Doesn't everybody already know that Android offers free turn by turn? It also implies you don't know what you are talking about, genius. Turn-by-turn nav with Google Maps is available only in a handful of countries, not worldwide. Your country and 11-12 others may have it, but the rest of the world doesn't! You yourself typed it, can't you read 'also'?